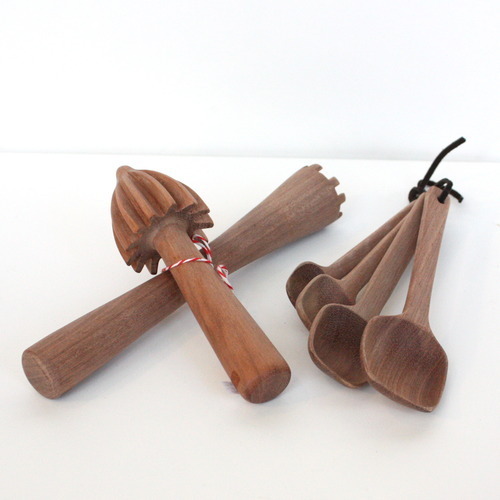 …or bartender as us pedestrians like to call them ;) What about these fabu wooden muddlers and reamers? Throw in some measuring spoons for bitters and sugar and you’ve got the perfect gift! I’ll take a Manhattan, tout suite!